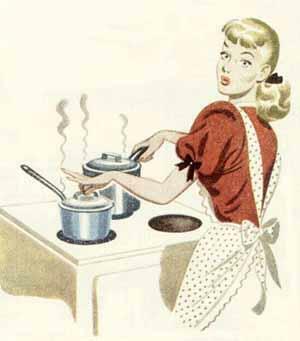 Pt Mollie: Weekend Challenge: Hey Good Lookin' Whatcha Been Cookin'? Weekend Challenge: Hey Good Lookin' Whatcha Been Cookin'? A lot of people spend hours in the gym trying to get fit and look perfect (how many of your friends have a defined 6 pack really). Often times, we forget that nutrition plays a large part in how our bodies look. It has become far to convenient to grab food on the go, which is usually full of chemicals and high in calories. A productive gym session doesn't mean a two Krispy Kremes at your morning meeting. Monitoring caloric intake is far easier than burning off said calories later. In addition, when you are working out regularly your metabolism speeds up, which makes you hungry all the time! This isn't something to fight. If you don't eat at regular intervals (planning snacks ahead of time will help tremendously! ), your body can switch into starvation mode and slow your metabolism down. Now that spring has sprung and farm markets are 'cropping' up everywhere, I would love for you to cook a meal from scratch this weekend. There are several recipes on this blog. I also love Nic's Nutrition and Finding Joy in My Kitchen. Both offer a wide variety of recipes, as well as excellent photo-documentation. Free recipes can also be found easily online with Food Network and Weight Watchers. I think there is even a website which gives you a recipe based upon what is in your refrigerator and cupboard (please let me know if you have the site's address). How cool is that? This recipe doesn't have to be low fat. Feel free to research healthier oils, sugar alternatives, and butter substitutions. But these tricks can be learned over time. For now, enjoy the process of choosing fresh food and knowing exactly what is in your meal. Make an extra portion to freeze for a later date when you don't have time to cook. Or bring leftovers in to work for lunch. If you find an amazing recipe and would like to share it, please email me: mollie@ptmollie.com. A photograph to post would be fabulous too!